Whirlpool Corporation is an American manufacturer of home appliances sold throughout the world. It is headquartered in Benton, Michigan. 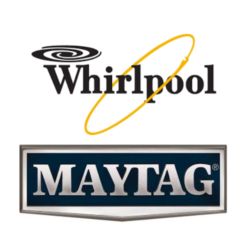 The company markets Whirlpool and Maytag laundry appliances. Whirlpool also manufactures certain appliances under the Kenmore, Inglis, Crosley and Admiral Labels.